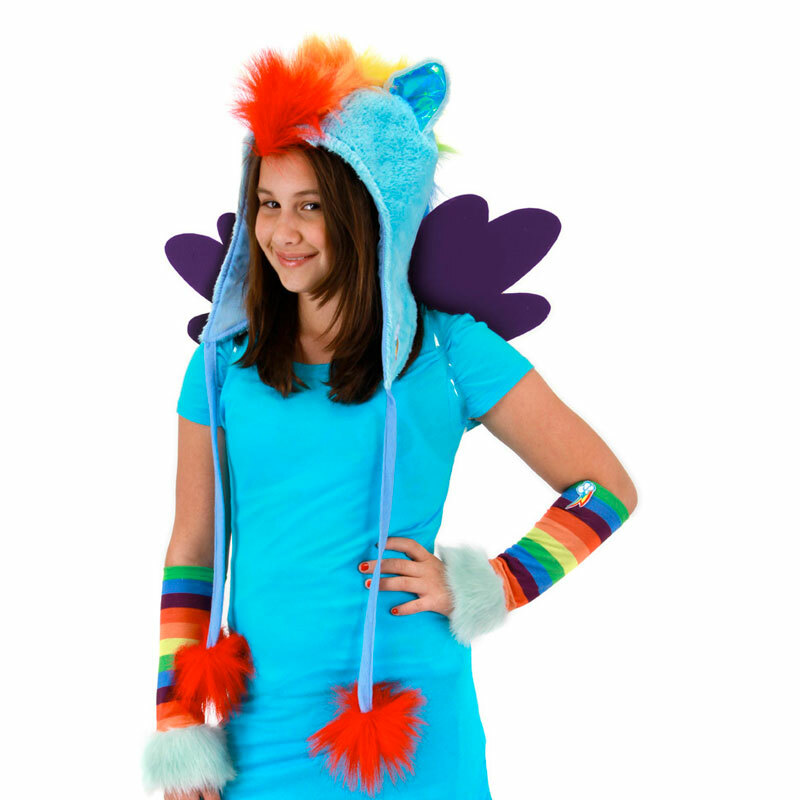 This awesome Rainbow Dash Hoodie will make you into the great, Rainbow one! With a flowing mane, ears, and blue fur, you'll be soaring into the clouds in no time. It will also keep you warm and cozy during the cold winter when Pony power must persevere. Feature: - Hoodie fits most heads!